Bintou "Jordan is an amazing country with outstanding places and people are welcoming. The highlight of the trip was the visit to Petra, the city of Petra is stunning!!! The guide was great, very passionate. Food was delicious, plates are very big so we ate a lot but we walked a lot as well so it offset. Hotels were average. You will need to a couple of days to recover but it is definitely worth it. Hi..."
Start and end in Amman! With the adventure tour A Week in Jordan, you have a 9 day tour package taking you through Amman, Jordan and 5 other destinations in Jordan. 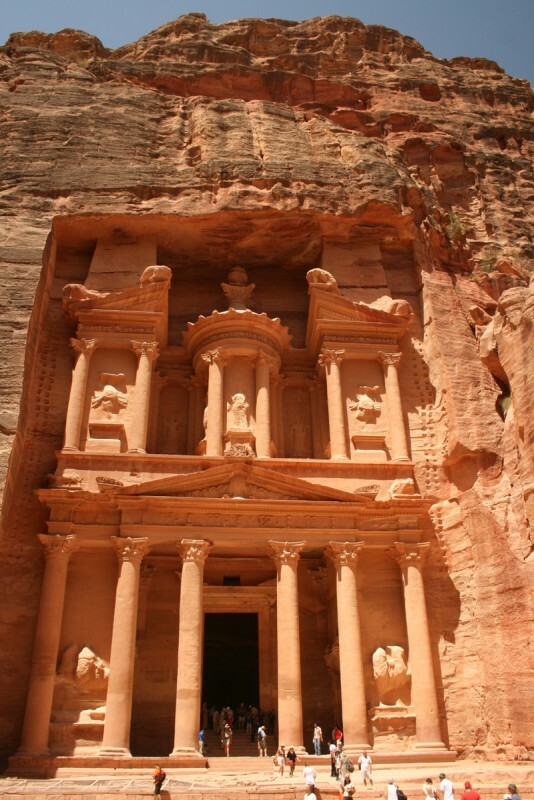 A Week in Jordan includes accommodation as well as an expert guide, meals, transport. 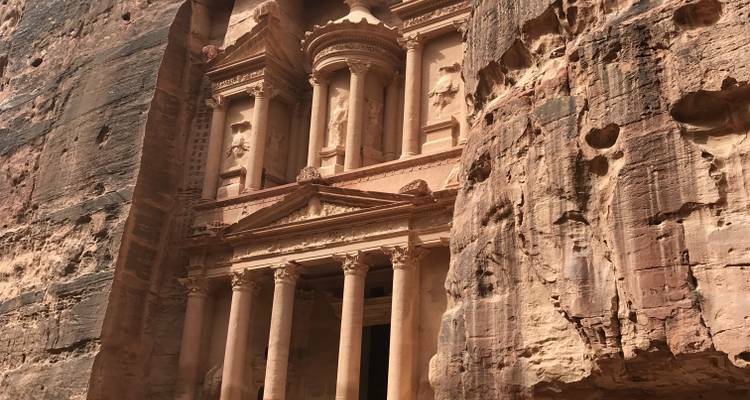 Jordan is amazing, Petra in particular is wonderful and we chose this tour as it included 2 days in Petra and we were not disappointed! The group we travelled with was lovely so we also had some great company on our trip. We had a terrific time. The standout day was Petra with an 18k walk through the hills exhilerating!! Wadi Rum was spectacular! All rounded off with a float in the Dead Sea. GREAT GUIDE, ITINERAY , MOST HOTELS, LOCATION , DRIVER , VEHICLE, just not informed of joining hotel change , being sorted by a Exodus. Jordan a great experience, with Israel next a great insight into history. Day 3: Drive down King's Highway to Petra via Mt Nebo, Madaba and Kerak. 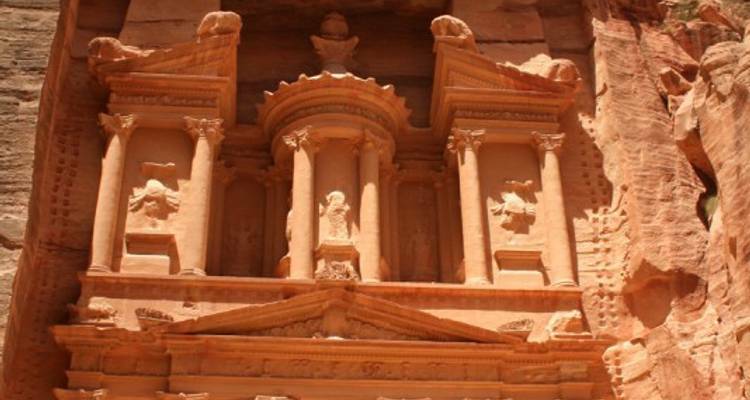 Day 4-5: Two full days to explore the expansive sights of Petra. 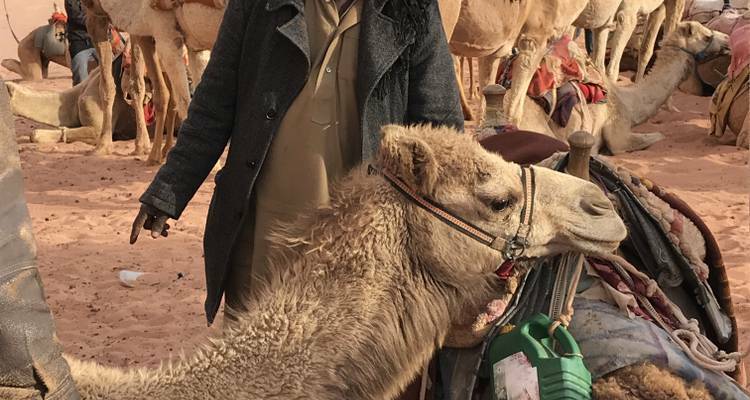 Day 6: Drive to Wadi Rum desert; 4WD excursion and overnight in a Exodus private Bedouin camp. Day 7: Morning in Wadi Rum; desert drive to Aqaba; free afternoon to relax or optional snorkelling over the coral reefs of the Red Sea. Day 9: Trip ends at the Dead Sea. TourRadar only requires a deposit of $99 to confirm this Exodus Travels booking. The remaining balance is then payable 60 days prior to the departure date. For any tour departing before 20 June 2019 the full payment of $1,483 is necessary. No additional cancellation fees! 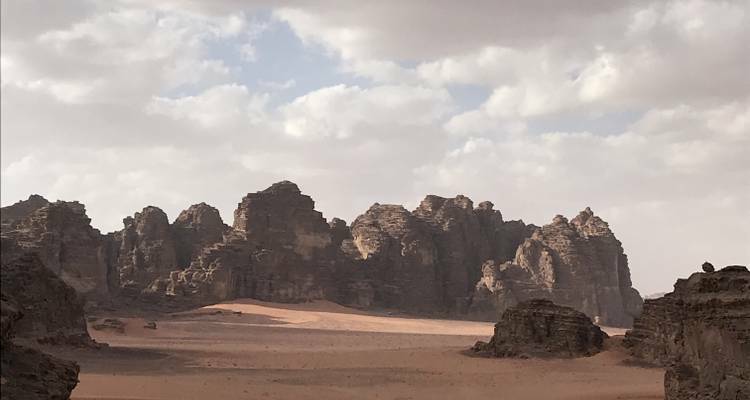 You can cancel the tour up to 60 days prior to the departure date and you will not need to pay the full amount of $1483 for A Week in Jordan, but the deposit of $99 is non-refundable.